Chrystie is a Level 3 qualified Massage Therapist with 9 years experience within the spa industry. 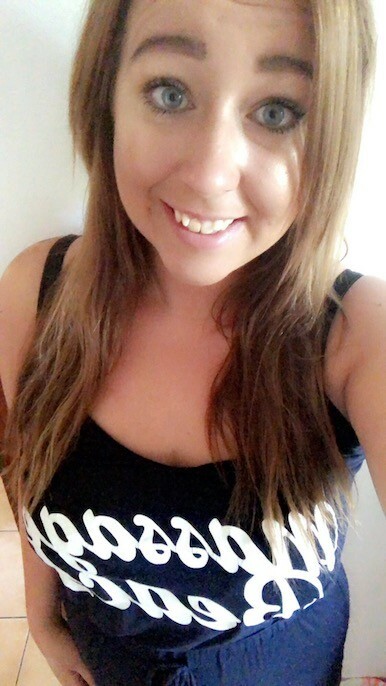 Working in various Hotels from 4* - 5* ratings, Chrystie is a qualified Team leader, her managers have always trusted her with various managerial roles from in-house offers to problem solving. She is a very enthusiastic girl with a lot of passion and drive about Beauty Therapy, She also loves to help others feel relaxed and revujinated and the best place to do this has got be to by the pool with a stunning view. Chrystie is so excited to work with Massage Beach, she’s always wanted to experience the thrill of working out of the UK, In 2012 she joined Steiner but she didn’t really find her sea legs and prefers to keep her feet firmly on dry land. Her experience will guarantee that you will have an amazing experience too. Chrystie’s happy and bubbly personality shines through and her hard working nature and self confidence will shine through. You as a client, will all see that she is here to be the best Therapist she can be. Chrystie has completed a lot of advanced training with various consumers from Babor to Elemis and ESPA. They trained her in pre Natal treatments, Hot Stone treatments, Advance facial treatments and Deep Tissue therefore having a treatment off Chrystie will mean that there will be a treatment for everyone.